NOVI, Mich. (WXYZ) — It was a field trip of a lifetime. A dozen Novi High School students taking French visited Paris, Northern France, the Eiffel Tower and the Notre Dame Cathedral just two weeks ago. The field trip to France is taken every other year. Part of the trip is a history lesson, as students learn the deep history of the cathedral. 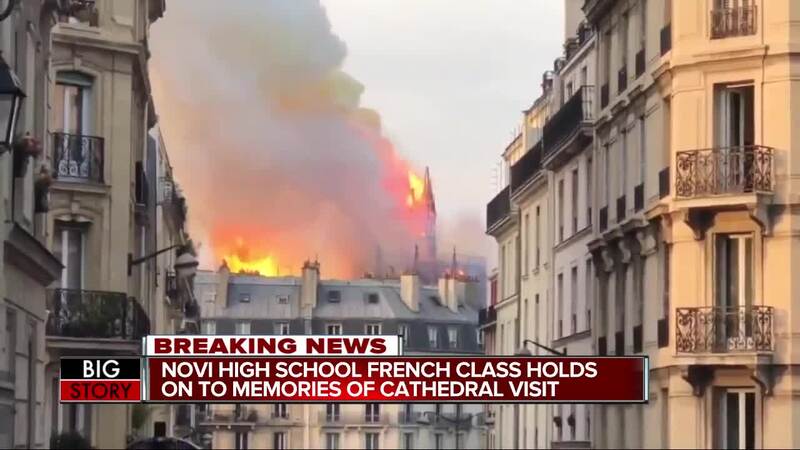 But on Monday afternoon, the students watched as it burned down on TV. Notre Dame was built in the 12th Century and if you’re one of the 13 million who visit it each year, the grandeur is what you’re seeking. “I think it took 200 years to build, which is just incredible to think people’s careers were to help build that and they never saw the end, they never saw the finish,” La Tarte said. 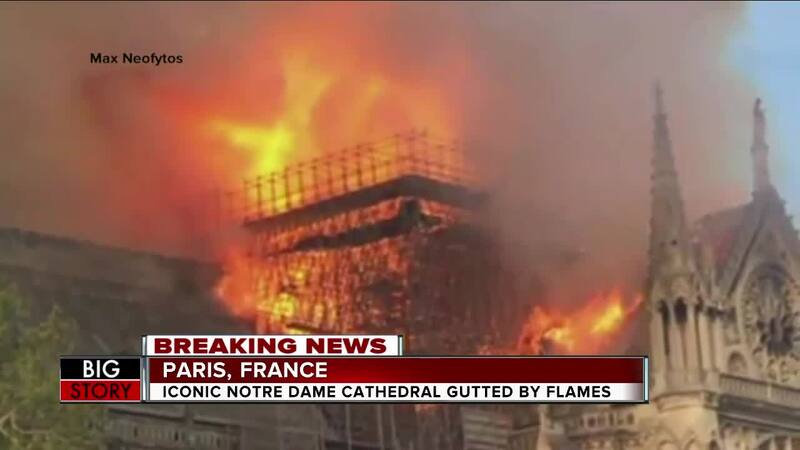 The cathedral was in the middle of a $6 million renovation, which may have been what started the fire.